Cadence announced today that they have validated a new generation of ASIC libraries from ARM using the Cadence Encounter Digital Implementation System targeting IBM's 45-nanometer silicon-on-insulator manufacturing process. FEI Company announced the release of the Titan G2 scanning/transmission electron microscope (S/TEM) Family, inaugurating the second generation of the company's revolutionary Titan platform - the world's most powerful commercially-available microscope. Samsung and Intrinsity today jointly announced the industry?s fastest mobile processor core implementation of the dual-issue ARM Cortex-A8 processor architecture in 45 nanometer Low Power, low leakage process technology. Semiconductor Manufacturing International Corporation today announced the successful commercial production of a 130nm family of DisplayLink USB graphics chips designed by DisplayLink and manufactured at SMIC. 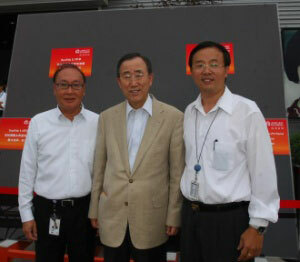 Mr. Ban toured Applied Materials' state-of-the-art solar testing facility in Xi'an, China and met with executives. Hueper Optik International Pte Ltd announced the continuing expansion of its Middle East network by appointing Muscat based Saif Hidaib Al- Wahaibi Trading and Contracts Est. as the exclusive Country Distributor of Oman to market and distribute Hueper Optik nano-ceramic window films. Ciranova, Inc. announced today that it has signed a license agreement with STMicroelectronics, one of the world's largest semiconductor companies, to support ST's deployment of Ciranova's interoperable PyCells for advanced silicon technologies at 32/28nm and beyond. 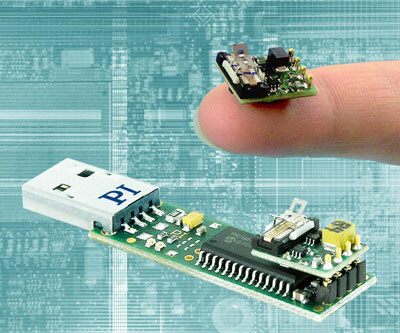 PI's patented P-653 piezo motor linear slide is significantly smaller than other miniature linear stages and provides significantly higher velocities and resolution. POSS Nanostructured Chemical technology, when used as a processing flow aid, effectively increases the melt flow of virtually any thermoplastic resin and is thermally stable enough for even the highest temperature plastics. Stratosphere Solutions, Inc. today announced that its award winning StratoPro tool, used for technology development, manufacturing monitoring and modeling, has been silicon-proven at 32nm using a high-k metal gate process and is now available to customers who will be manufacturing at this technology node. Breaking Ground on World's Most Advanced Semiconductor Foundry in the U.S.
New manufacturing facility re-establishes U.S. as major hub for semiconductor production, bringing thousands of new jobs and billions of dollars in economic development to upstate New York. 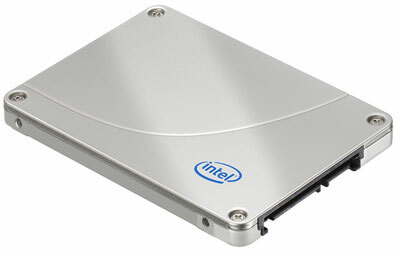 Intel Corporation is moving to a more advanced, 34-nanometer (nm) manufacturing process for its leading NAND flash-based Solid State Drive (SSD) products, which are an alternative to a computer's hard drive. R+D Magazine has recognized Y-Carbon, Inc. with the prestigious R+D 100 award. This award recognizes Y-Carbon's revolutionary technology for providing the world with clean energy, safe drinking water and improved health care. Leica Microsystems GmbH and A. Menarini Diagnostics S.r.l. have signed a five-year agreement to extend their successful cooperation. Parabon NanoLabs, a leading designer and manufacturer of breakthrough products at the nanoscale, announced today its award of a National Science Foundation Small Business Innovative Research grant. The grant will be used to demonstrate the viability of a new class of anticancer molecules that are engineered to automatically self-assemble from interlocking strands of synthetic DNA. Cadence Design Systems, Inc., a leader in global electronic design innovation, and Taiwan Semiconductor Manufacturing Company (TSMC) today announced a broad expansion of their collaboration to better enable mutual customers to solve the challenges of their latest custom designs, including RF, mixed-signal and custom digital.